A broken nose, or nasal fracture, is not always obvious. Although there is usually swelling and soreness, it is not uncommon for a patient to ignore a nose injury. It is true that your nose will heal by itself. However, if you have truly fractured your nasal bones, it can cause both functional and aesthetic problems if it is allowed to heal in the wrong way. Ignoring a nasal fracture can obstruct your airway and create an unbalanced facial appearance. Seeing a facial plastic surgeon to diagnose your broken nose sooner rather than later could be the difference in a closed rhinoplasty versus an open rhinoplasty. A closed procedure is least invasive, without the need for incisions. Your plastic surgeon will simply reset the broken nasal bones so that it can heal properly. How long can you wait to reset a broken nose? If the bones were indeed fractured, it is best to see a plastic surgeon within the first few weeks. The edges of your nasal bones will gradually heal together over the course of about six weeks. This initial fusion is more fibrous at first before progressively hardening. It is possible to reset your nose after this time frame, but your best chances for a successful procedure should be scheduled sooner rather than later. A closed nasal fracture reduction involves the manual repositioning of your broken nasal bones back into their proper place. The procedure is non-invasive and can ensure your nose heals in a more functional and symmetrical way. If you do require an open rhinoplasty procedure, you can trust Dr. Talei to produce natural and balanced results. 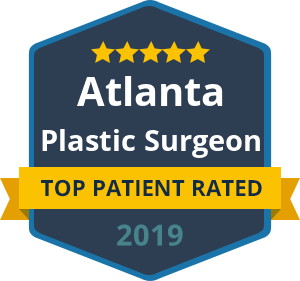 The Beverly Hill Center for Plastic & Laser Surgery also offers rhinoplasty revision surgery for patients who are unhappy with their previous nose job.